WhatsApp Group invitation link has been out for a while now, although, it first came out on one of the top ranked version called GBwhatsapp mod, before other mod versions in town. As it is now, we are still looking forward for the Group link feature to be embedded on official latest Whatsapp apps for Android, iOS devices like iphones/ipad, and PC, Mac etc. Meanwhile, as we are still waiting for the feature to be rolled out officially, let us proceed in exploring the available alternative. This post was last updated on (8th April, 2017.) Therefore, Whatsapp Group join link has been rolled out officially for Whatsapp App. Read on to create and activate yours on the latest Official whatsapp app, latest whatsapp prime, and on latest Gbwhatsapp mod etc. on Android OS, iOS, Windows Mac etc. The Group invite link is quiet a good one for mass invitation to any of your created Whatsapp group, like group for chatting with friends, family members or for money making businesses( e.g. online networking business and so on,) that requires getting clients together on social media chat platform for guidance. As an Admin that needs to add up new members to the whatsapp group you own, instead of first saving their phone numbers on your phone book (contact list) one after the other, before talking of adding them up to the whatsapp group. Now Whatsapp has saved you the stress of doing such, as all you need to do in order to get all of them added to the group is just to give them the whatsapp group link to click on. And once they click on the link to join the group, they will be added automatically. The method is very easy and simple to use when adding up members both people you know and those you don’t know as long as they have an active Whatsapp account they are chatting with at the moment. So, just share the group link on any online platform like Facebook, Blog websites, Twitter, Telegram, Instagram etc, and people will click on it to join your whatsapp group for free without even the administrator’s approval. So no more adding of members manually to your group since this one is the best alternative for doing that. But if you still insist on adding anyone manually, that’s fine, as both group link and manual invitation option are free for you to be used on the latest Whatsapp app. ==> Check out The Latest Data Plan Subscription Codes For Whatsapp, Facebook And Twitter On MTN, Etisalat, Airtel, & Glo Networks. Anyone can click to join your whatsapp Group Link invitation from any whatsapp enabled smartphone with paid or free internet or Wifi connection. Once you share the link to any online or offline platform as mentioned above, users/members can join without the group admin Permission. Admin can block or remove any unwanted member from the group once added. It is stress free and Straight forward, as you can add new members without first adding their contact or phone number to your phone book. You can make any invited member via the link, one of the groups Administrator if you so wish. With the group link, you can invite up to 256 members to join for free. Having seen the advantages above, to create WhatsApp group link won’t take you up to 2 minutes using the fastest method in 2017. Just follow the steps below in creating your own WhatsApp group link invite and start sharing the links for people to join for free. >> Download and install the Latest Whatsapp App from Google Playstore for Android Users and for iOS users, get it on Apple store. Now get it installed on your Smartphones. 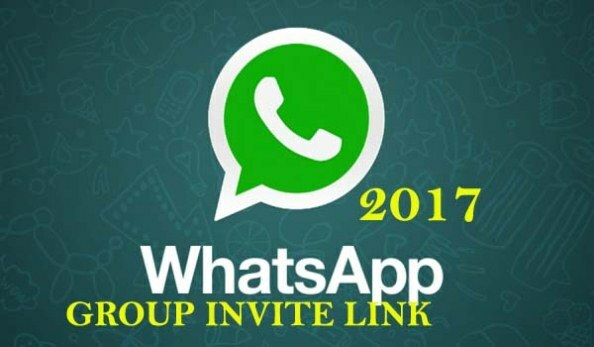 >> You have to be the Whatsapp Group Admin so as to be able to create the group group link invites for your new group. >> Login on your Whatsapp Account and create a New Group with any name. >> Now click on Group info >> followed by Add Participant >> and then, click on “invite to group via link” to create the link. >> Once created, go ahead and start sharing the group link to get new members. Creating your own Whatsapp group invite link using WA Prime is quite simple and easy to carry out. Just follow below steps to achieve that. >> Before you proceed, first Uninstall the official WhatsApp app from your Android mobile device. >> After doing that, download and install WhatsApp (WA) prime Apk from this link Here. OR from this link. >> Remember you are to be an Admin in order to access the group invite link, so ensure to be an Admin. >> Launch the WA Prime App and login with your Whatsapp Account, selecting your region and other details required. >> Next, click on the group you wish to create invite link for, and then click on + (Add Member) option. >> There you will see “Invite to Group via Link” just as the one explained above, now click on it and copy the link displayed to you. That’s all. You can now invite people to join via the link. >> Get the latest GB whatsapp apk free version installed on your device by downloading it from Here. >> Launch by opening the downloaded GBwhatsapp and enter your phone number you used in creating whatsapp account before now, whether MTN, Etisalat,Glo, Airtel etc any network at all. Then wait for auto number verification to finish its processing. >> An option to back up your data will pop up, you can choose to back your data up or skip if you don’t want. >> Now click on the group you wish to get its invite link or create new group if you like. >> Next, click on Menu icon and you will see Group Info also click on it. Now, the group link should be generated successfully, just copy it and do whatever you like to do with it. That’s all for how to create Whatsapp Group link on GBwhatsapp, Prime WA and on official whatsapp for Android, iOS, and Windows Mac users. Enjoy and share the post with friends.